The reason why thousands of pub trivia nights have popped up all across the USA is because it is big business. An event like this can bring in a wide range of clients and keep them coming back week after week. Breathe Some Life Into Your Venue! 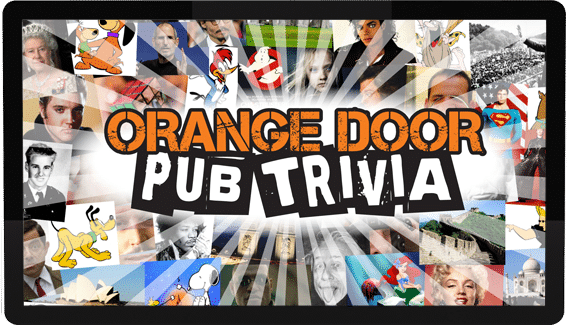 Orange Door® Pub Trivia is very different as we lock in a video aspect to the arrangement. This changes the question completely and sometimes even makes a simple question quite tricky and fun to answer. This means that the delivery of our questions will keep your players entertained, whether they know the answer or not. 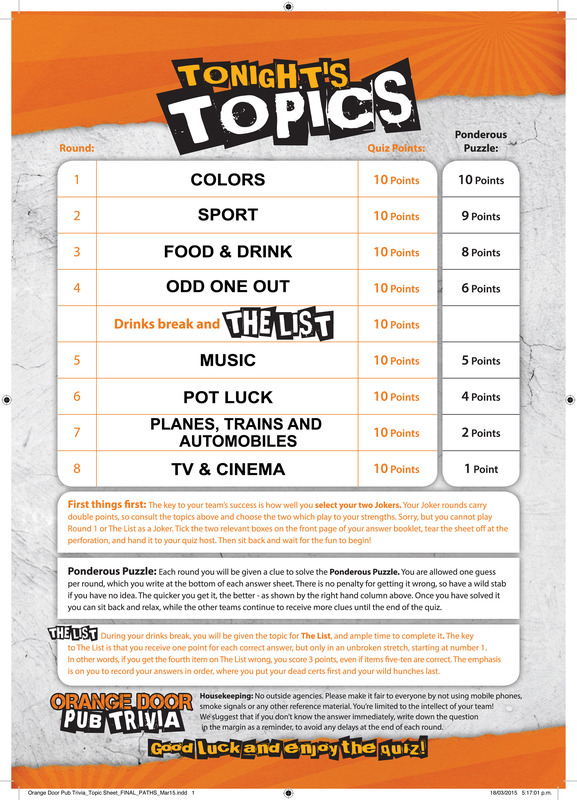 Boost the atmosphere on a quiet night with the excitement of Orange Door® Pub Trivia. 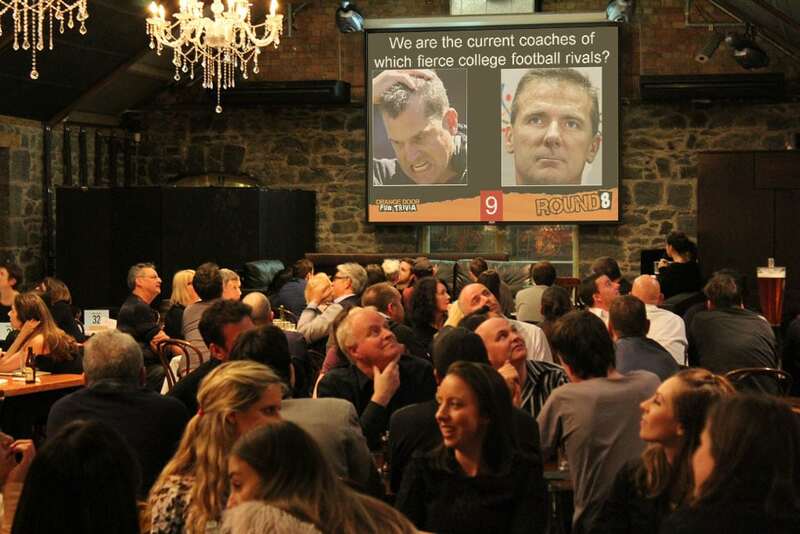 Our big screen trivia is inclusive, easy to play, easy to host and your players will generally arrive with a team, all of whom should enjoy a couple of drinks and a meal. Competition gets pretty intense so its good to have easy to eat menu items and good table service available with a few drink/bathroom breaks. Total show time is 2½ hours, so depending on what sort of venue will determine the best start time. Talk to us if you’re unsure. 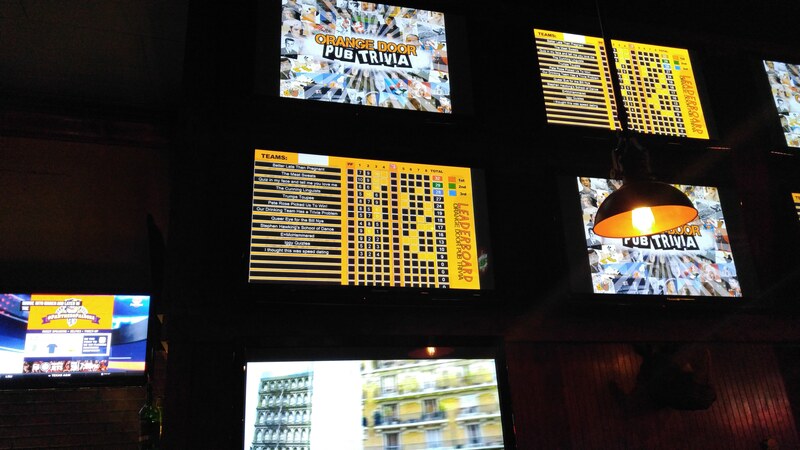 Successful trivia nights equate to return patronage, additional revenue and positive word of mouth for your venue. The power of the hosted pub trivia show is immense with an increase in turnover on an early weeknight. That’s what our clients get from a well hosted full video hosted pub trivia show. ANY QUESTIONS? WANT MORE INFO? nights can do for your business. Easy To Run and Easy To Host! Hosting is super easy! The show practically runs itself, so venues normally use in house staff to host it. A good microphone voice and some math skills are all that is required. 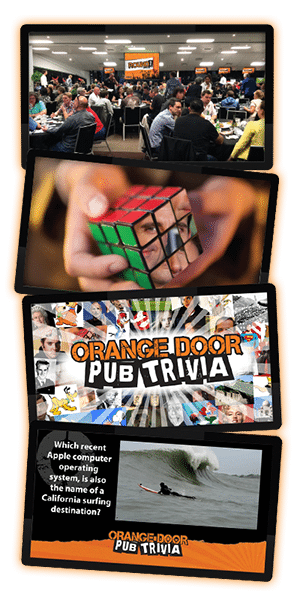 Use your Orange Door® Music Video System to deliver a fantastic night where you can expect regular visitation and a social atmosphere during your trivia event. Our experience building these shows for bars across the globe will give you the very best local show for your pub, tavern or bar, although they also work in fundraisers, sports events, cruise ships, even bowling alleys and sports venues. 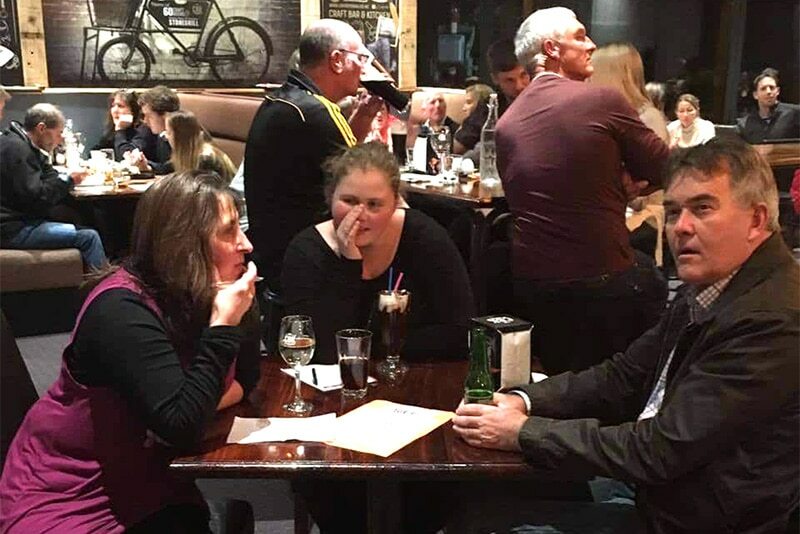 Hosted pub trivia is HOT and it’s here to stay. The questions are aimed at a wide audience – men and women, young and old, and are designed to cater for as many people’s interests as possible. They’re also not aimed at rocket scientists – rather, everyday people. We want teams to get more right than they get wrong, or they’ll not come back the following week! We recommend that our clients pick one night every week and devote it to ‘trivia night’. 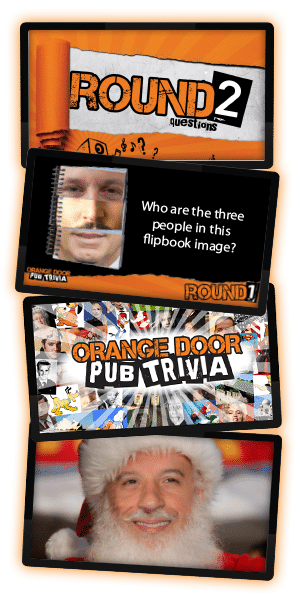 Orange Door® Pub Trivia nights attract a very loyal following of people on an otherwise quiet night of the week for your business. Once established, your clients will return week after week. It’s a highly addictive hobby! Cost-wise, it’s also very effective, as the turnover far exceeds the outlay. A sample of the questions. PDF overview of the show and how to run it. A Topic Sheet provided with every show. A Q&A document from a previous show which will give you an idea as to the type of trivia content you can expect week after week. Why not register as a host? Want to earn some extra money and have fun while doing it?